Of the hundreds of genealogy conferences I've attended as an exhibitor, speaker, attendee, and even as conference Chair, MyHeritage LIVE here in Oslo, Norway is by far the most unique and energy-filled family history conference I've seen. With about 450 attendees from 28 countries it might also be the most internationally diverse genealogy conference too. ...to attending class...just like the rest of us? That's exactly what I will be doing when I return home. Gilad announced that MyHeritage will soon be able to process the DNA from stamps and old envelopes and then link the DNA to the ancestor. This is big news - imagine having the DNA results for one of my great-great-great grandparents!! I can see the brick walls coming down now. And if we don't have an old envelope, Gilad also announced plans to recreate our ancestors' DNA through segment painting and segment escalation. Later in the day, Maya Lerner, Vice-President of Product at MyHeritage, continued the transparency into MyHeritage's future plans where she announced the Theory of Family Relativity, which will help us easily discover how our DNA matches are related to us. She said that MyHeritage is developing technology that, with a 95% accuracy rate, will determine exactly how two matches are related to each other. This announcement was received with "oohs" and "ahs" throughout the audience. Who does that (announces a company's inner workings)? Apparently MyHeritage does. Okay, my excitement may be getting a little out of hand here. It's just so energizing to be a part of something that really does have an every-day impact on genealogists worldwide. After all of the classes, I personally interviewed many of the attendees to see how they enjoyed day one. They were thrilled to have such a well-organized, educational and fun conference come to them - so close to their homes. This really is fulfilling one of my genea-passions - to help bring genealogy education to people throughout the entire world. If you couldn't be here in person - every class has been live-streamed, and will continue for Day 2 at https://live2018.myheritage.com, including my class today, "Using MyHeritage & Learning with FamilyTreeWebinars.com." 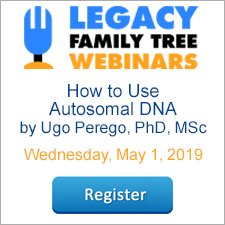 If you missed any of Day 1's classes, the recordings of the live-streams are available on https://www.facebook.com/myheritage/ and will be available on our www.familytreewebinars.com in the future. Oh boy! Thank you, Geoff, for the summary. I will have to watch the videos to catch up over the next week. I look forward to your summary of Day 2. Totally forgot to watch Day 1. As we are only 1 hour behind in Wales I will be catching up with day 2 live and the others when I get time. 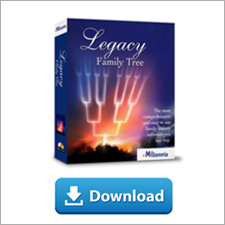 Thank you for your plans to offer the recordings of this conference on Legacy Family Tree Webinars.